Participants of the Cup for People project. Photo courtesy of the author.The Russian state’s massive effort in hosting the 2018 FIFA World Championship has led to an unimaginative decision: to deploy police officers to 11 host cities from all over Russia, while restricting citizens’ freedoms, from freedom of movement to freedom of assembly. But grassroots initiatives are springing up. And these aim to help visitors not just to enjoy the football, but to find out about the real lives of Russian citizens as well. In St Petersburg, which is hosting four matches, a project called A Cup for People has been launched, and its organisers believe it will help them show people the Petersburg that only they know – vibrant, creative, open to the world and resistant to all setbacks. The most eye-catching and high profile element of the preparations for FIFA-2018 is Petersburg’s new stadium, which the locals refer to as “Arena-Zenit” after the city’s football team Zenit St Petersburg. The stadium has taken 10 years to build, and those years have been marred in corruption scandals. The final bill came to almost 50 billion roubles (about £60 million), making it one of the most expensive in the world. Other building works have also been taking place – to make life easy not only for the football fans, but for local people in the future as well. The city’s two island districts, Vasileostrovsky and Petrogradsky, have now been connected to one another by a new footbridge; the Nevsko-Vasileostrovsky metro line has two new stations, Novokrestovskaya and Begovaya. All this will allow players and fans to avoid traffic congestion and get them as close as possible to the new stadium. Players before the football match on the platform of the station “Mezhdunarodnaya”. Photo: Alexander Galperin / RIA Novosti. All rights reserved.But all the positive impressions from the new developments dim before the massive restrictions and bans affecting both the locals and the tourists. Nana Gvichiya, deputy chair of Petersburg’s Tourism Committee, reckons that between mid June and mid-July, 400,000 fans, players and team staff and their families will pass through the city. To deal with this, the Petersburg authorities have introduced what is basically a form of martial law from 25 May to 25 July. During these two months, stricter rules on migration will be in force: people coming from other countries will have to register with the city authorities within 24 hours of their arrival; Russian citizens within 72 hours. Public transport and the movement of locals and visitors will be seriously affected: the whole of Krestovsky Island, where the stadium is located, will be closed to everyone except its residents. Fans will only be allowed on the island with an official “fan card”; everyone else will need a special entry pass. On match days, part of Krestovsky Island and the Griboyedov Canal between Nevsky Prospekt and the Moika River (up to the fan zones on Konyushennaya Square) will be closed off. In addition, during the Championship, there will be a strict limitation on any kind of mass event unconnected with football. Because of this, Petersburg’s city government, for example, decided, for the first time in 30 years, to ban a commemorative event marking the deaths of prisoners who died in the city’s jails, which has traditionally taken place on the first Saturday of June. Only the intervention of the human rights ombudsperson allowed it to take place after all. On match days, trips to other towns and walks along rivers and canals will be restricted, and between 1 June and 17 July tourist and excursion buses will be banned from World Cup host cities, apart from those on regular routes within the cities. Haulage firms, meanwhile, will need special permits from Russia’s Interior Ministry, and all buses must have a new navigation system installed. We’ve paid, so we’ll have a good time! Cup for People volunteers were also recruited openly, mostly via social media. And the main thrust of the work emerged very quickly. The project would be split into a number of themes: awareness raising work in Diversity House, Alternative Excursions, a “Responsible Consumption” map and “Bars without Violence”. Worker at the construction site of the Festival of fans of FIFA in St. Petersburg for the World Cup 2018. Photo: Alexey Danichev / RIA Novosti. All rights reserved.“All our initiatives are connected more with life than football,” says Elena Belokurova, a member of the Cup for People group and one of the coordinators of the German-Russian Exchange in Petersburg. 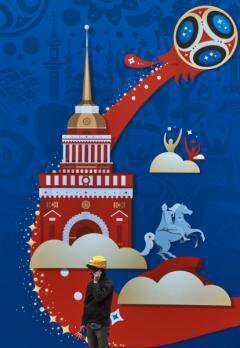 The Diversity House is open from 12 June on Konyushennaya Square, next to the official FIFA 2018 fan zone. According to Elena Belokurova, the organisers have already planned more than 30 events for the space – discussions, meetings, master classes. Various NGOs will have stalls, and they’re expecting a presentation from a group of activists from Finland and Germany who campaign against homophobia in sport. In early July, the final games and debates held by the city’s Democratic Club will take place. And of course, all the football matches will be streamed in Diversity House – large monitors have been set up in two spaces with 160 seats. The new space will open with a photo exhibition dedicated to diversity in Russian and world football. The exhibition will show footballers who have led all kinds of lives: migrants, refugees, LGBTIQ+ players. According to the TurStat agency, at the end of last year St Petersburg joined the top three of Russia’s “best food” cities, beaten only by Moscow. Members of the Cup for People group suggested compiling a gastronomic map of the city, but only showing places that comply with their social responsibility principles. The Map for People group looked at dozens of Petersburg eateries and found that café and bar owners were interested in the idea: they were keen to be in contact and shared their concerns about separate rubbish and recycling collections, use of leftover food and an avoidance of disposable plates and glasses. The Map for People group are working out how to help them: getting establishments working together, getting the city authorities involved in things that matter to everyone. There will soon be a new map on the Map for People site, showing where to find vegan restaurants, what bars and cafes cater for people with various food allergies and what eating places are art spaces as well. Another aspect of the Cup for People project is, of course, guided tours around St Petersburg. The organisers of the Tours for People programme are offering visitors and residents tours of a kind that no one else is doing. 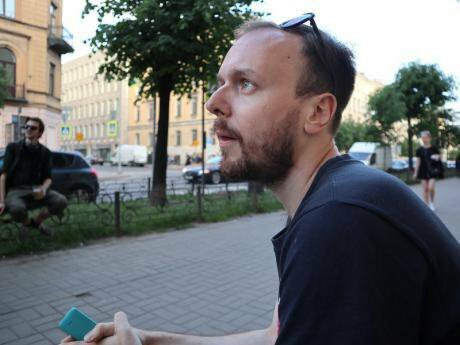 Dmitry Vorobyev, on the other hand, takes visitors on tours of Petersburg’s suburbs and industrial outskirts – areas where there are no palaces or other historic buildings, but where most ordinary Petersburgers live. Daily free human rights tours will take visitors round the Peter and Paul Fortress, where they will learn about the first Soviet political art demonstration in 1976. 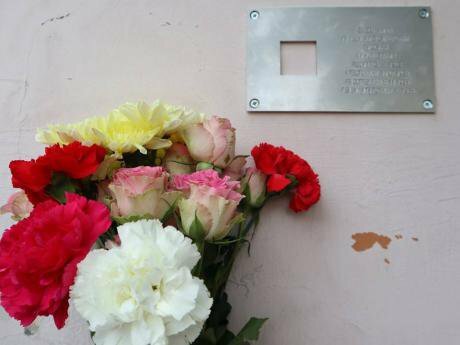 They’ll also find out about the Last Address project, which marks the homes of people who died in Soviet repressions. Then, at the Russian Prison Service’s special detention centre, people can hear about solidarity with people who are being arrested at protest actions today. Major sporting events can speak to people not just in the language of big sport and big money, national prestige and officialdom. They can – and must – also speak to people in the language of culture, equality and solidarity. And if the state doesn’t want to talk to its people and listen to their voices, people who are capable of taking initiatives and responsibilities can do it themselves.